An insider’s guide to the best events and things to do during October in the Lake District. Woodlands ablaze with autumnal colours. Crisp morning air. Leaves crunching underfoot and the fells cloaked in a layer of rusty red. For some, October in the Lake District is arguably the best time of year to visit. A tonic after a busy summer, autumn is becoming an ever increasingly popular time to get away. It also provides a revitalising break before the hectic Christmas season and the year has, somehow, disappeared into thin air. Known as the land of walking, October for many is the prettiest time of year to take to the Lake District fells. As well as the glorious scenery, you may well find yourself on a hillside with no one else around for miles. Tranquility goes hand in hand with beauty over in the Northern Lakes. And if walking doesn’t appeal, there’s also a world leading distillery, mountain bike centres, relaxing boat trips, top-class golf courses, loads of cultural attractions, exhilarating Go Ape obstacles, ancient landmarks, quaint shops and galleries to keep you busy for a good while. Whether you’re looking for an action filled autumn adventure, an activity packed week of fun for the kids or a romantic wander in a spectacular rural location – the Trout Hotel has it all on its doorstep. And even though the unpredictable British weather may have unleashed its first frost, imagine yourself wrapped up and strolling along the shores of a shimmering lake before settling by a warm open fire. Sound good? 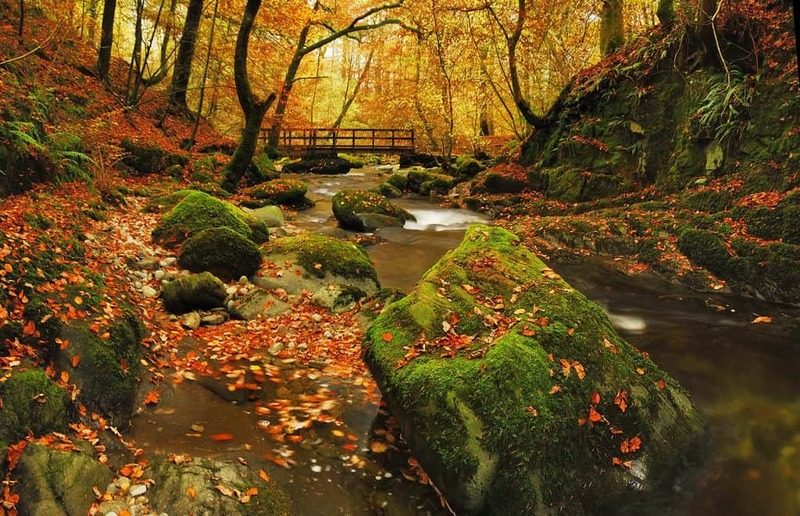 Read on to learn more about the delights of October in the Lake District. Take an educational trip back through history with this very special event being held at the nearby Kirkgate Arts Centre. Stuart Eastwood, the curator from Cumbria’s Museum of Military Life based in Carlisle will be in town to discuss the impact that WWI had on Cumbrian life. 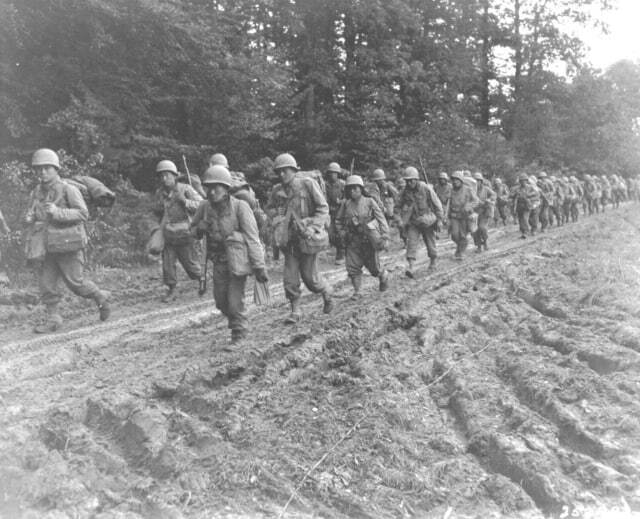 Some main points of interest covered will be the military aspect, the Border Regiment and other local units, recruitment, manpower, training and many more. This special event is the perfect opportunity to learn a bit more about how such a historic, unforgettable event impacted our local area – a rural region of the UK that is often overlooked in history textbooks. Tickets cost £5 for adults and £3 for concessions. Spaces are limited so book your tickets by clicking here. Prepare yourself for a supreme night of smash-hit Motown classics that’ll have you dancing in the streets, as The Magic of Motown grooves its way into the Sands Centre at Carlisle. ‘Get ready’ for 40 back-to-back timeless Motown chartbusters as we celebrate the sound that revolutionised soul music and entertained a generation. 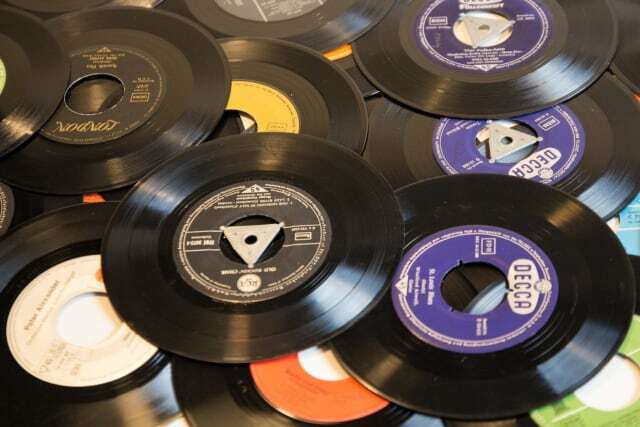 Expect familiar songs from Motown legends including: The Four Tops, The Temptations, Marvin Gaye, Stevie Wonder, The Supremes, Jackson 5, Smokey Robinson, Martha Reeves & the Vandellas plus many, many more. Be taken on a musical journey through 1960s Detroit when ‘that Motown sound’ we all know and love was created in Hitsville U.S.A. You can expect big hair, glittering costumes, dazzling dance moves, charming choreography and a whole résumé of soulful classics you’ll be singing along to for weeks to come. The show has been celebrated by crowds all over the UK, including a performance for Her Majesty the Queen, as a special guest at the Royal Variety Performance! We invite you to join us for the biggest party of the year! Get your tickets now, click here. Experience a little bit of American Country music while in the English countryside! This cracking tribute to the Queen and King of Country is taking place on a stage near you this October. The tribute show is one of the best in the country, providing compelling and realistic portrayals of Dolly Parton & Kenny Rogers by stars Andrea Pattinson and Peter White respectively. Pattinson performs as Dolly with utter reverence and convincingly mimics the legend’s soulful sound and Tennessee charm live on stage. Equally, White takes the title of the UK’s top Kenny Rogers impressionist, providing audiences with an authentic night of gripping entertainment. The couple compliment each other blissfully, gracefully bouncing off one another just like the real Country Queen and King! Expect classic Dolly/Kenny duets including ‘Islands in the Stream’ and ‘We’ve Got Tonight’ as well as individual chart toppers from each. The duo are supported by a talented four-piece backing band to complete the line-up and offer you a night of none-stop entertainment that will have you up on your feet dancing by the end! Prepare for your 9 to 5 week ahead by unwinding on this Sunday! For prices, tickets and a video of the duo in action, click here. 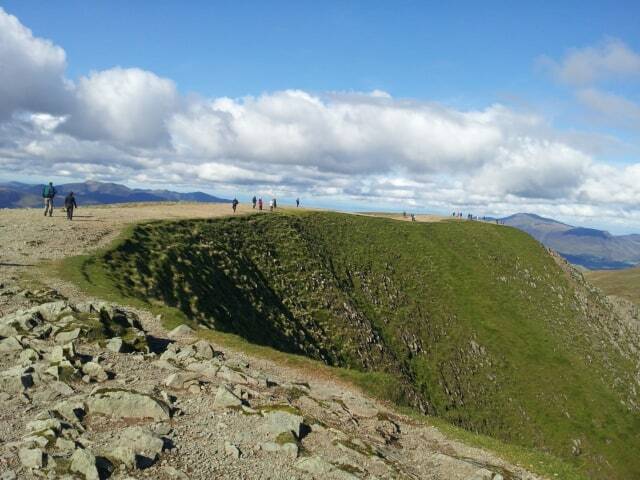 The National Park host guided walks almost all months of the year and one of the best to join would be a hike to Blencathra Summit, as it can be tricky to navigate. The walk will begin from Mungrisdale Village Hall, which is located just off the A66 beyond Threlkeld. If you are visiting from outside the area, the guided walks are a great way to get to know the local landscape and make the most of the knowledgeable guides. For more information about how to book a place on the guidied walk, click here. There is more information about this fell in the Fell of the Month section below. Kids eat for £1 during the school half term when they bring an adult! 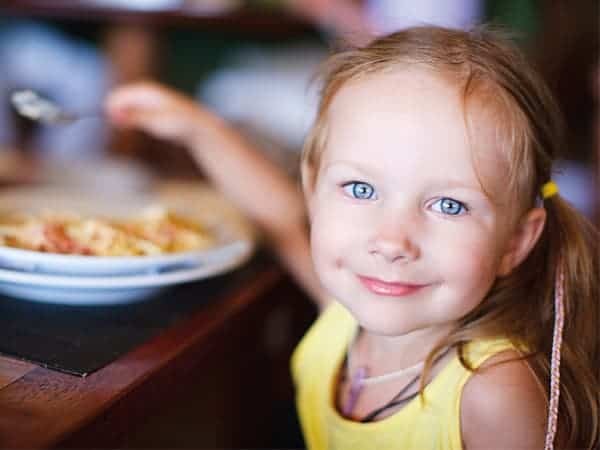 Each grown up ordering a main course from The Terrace Bistro & Bar menu can claim a children’s main course, dessert and drink for just £1 from the children’s menu. Each adult ordering a main course from the Terrace Bistro or Bar menu can claim a £1 kid’s meal for an accompanying child from 20th – 28th October 2018. This cannot be used in conjunction with any other offer. Not available on specials menu. Children 10 years and under. 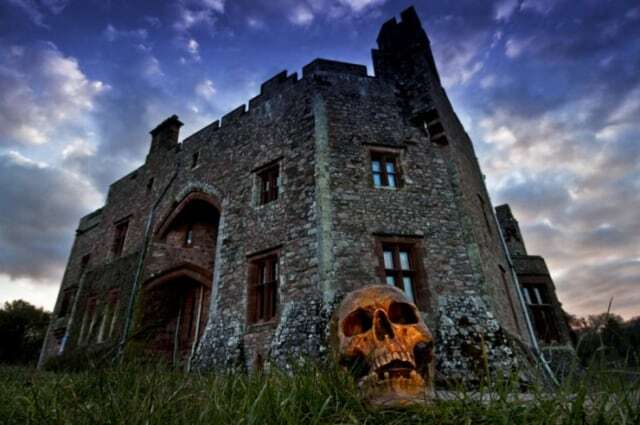 You’d have to be positively insane to miss out on all the ghoulish events happening at Muncaster Castle during their frightful Halloween week… or at least you might be by the end of it! Happy haunts are scheduled to check in to the haunted castle from Tuesday 23rd – Sunday 28th October where they will captivate you with eerie comedy, daring aerialist shows, audacious fire-eating displays, scary storytelling, lantern-making workshops & processions, cannon firing and spooky face painting to name just a few spine-chilling activities. You can also expect haunting visits from our Muncaster Monster Cabaret, featuring the Astral Circus performers, The Fire Man Dave, juggler & unicyclist Frumpid Stumplestone and magician Darren De Lusion. All will be ‘dropping in’ to hypnotize and dazzle with their horrifying performances. Don’t miss out on Castle Halloween Tours and Halloween Twilight Owls Display either which both need to be booked for a specific night in advance. The event is ideal for creatures of all ages, sizes and mortalities and is the perfect way to get you into the Halloween ‘spirit’… Take extra special care of your children and be very careful that a ghastly ghost doesn’t follow you home! 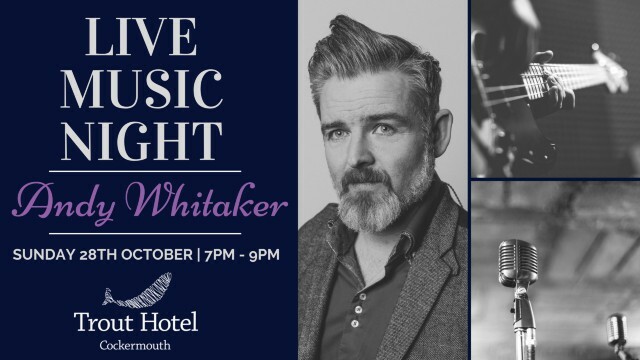 Come on down to the laid back Terrace Bistro & Bar to enjoy a wonderful night of live music in Cockermouth featuring the talents of local singer, Andy Whitaker. While you dine or sip on a refreshing cocktail, Andy will be here to entertain with a catalogue of well-known songs spanning an array of genres and decades. Winter is just around the corner which means one thing… hats, gloves, scarves, big jumpers but most importantly – the festive season is vastly approaching! 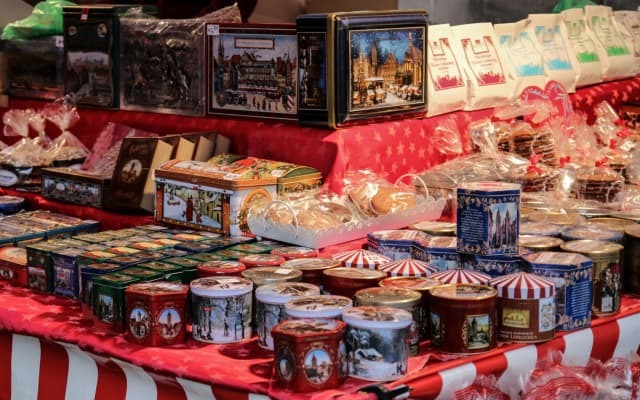 Prepare yourself for the most wonderful time of the year by visiting this early Christmas Fair being held at the Rheged Centre near Penrith. Expect festive arts, crafts, gifts and a Christmas food fair to give you a real taste of premature Yuletide joy. The event is a two day exhibition which promises to provide a diverse and interesting mix of exhibitors from across Northern England and Scotland. This is the perfect opportunity to pick up some early Christmas gifts for a loved one in mind and give you that warm, Christmassy feeling in your stomach. The Rheged Centre is situated close to Penrith and is incredibly accessible from the A66 that will take you straight there from Cockermouth. 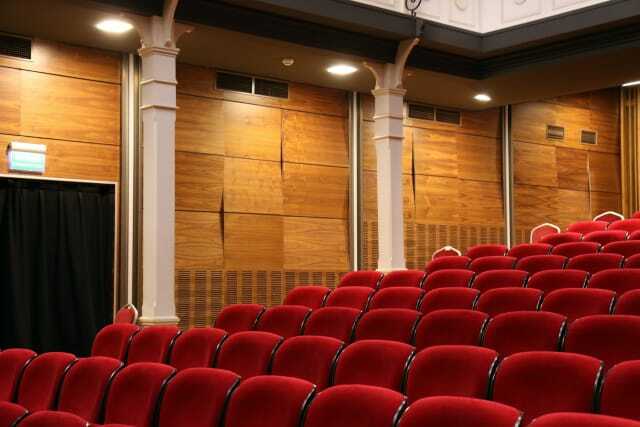 The Rheged Centre also includes a cinema, shopping opportunities and kids play areas plus cafes, a thriving foodhall and an ice cream stand to ensure a fun-filled day. This Halloween, The Trout Hotel has a number of spooky events that might just make your family holiday plans frighteningly easy. We extend a haunting welcome to Children under 12 who are all invited to attend our Halloween Party in our Terrace Bistro. 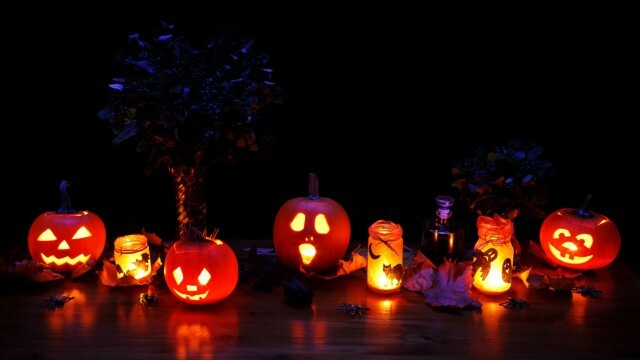 Children, monsters and spooks alike can take part in competitions, games and entertainment from 4pm – 8pm with spooky food served all night. Best of all, it’s free! Be sure to wear your most frightening costume so you don’t upset the happy haunts who will be staying at the hotel. Described as a “stunning walk of really outstanding contrasts”, Blencathra is known as one of the most enjoyable walks in the Lake District. The Ordnance Survey refers to it as Saddleback, but the name Blencathra was made popular by Wainwright and is thought to derive from old Cumbrian words for hill top (blain) and chair (cader). There are various ways up this fell, one of the most popular being via Sharp Edge – a knife-edged arête on the eastern side of the mountain that provides some good scrambling for those with a head for heights. If you’re not a fan of sharp edges, a path via Blease fell on the western side of the fell is the easiest route up. It stands apart from the other Lakeland fells and has five high points, with the highest point directly above the Hallsfell Spur, marked by concrete ring. If the weather closes in and visibility is poor, we don’t recommend that you do the walk as there is quite a lot of navigation involved over the common ground. You would also miss out on the stunning views from the summit, which are the main reason for climbing (for most!) during October in the Lake District. Half term week will be busier than usual during October in the Lake District, so remember to book your accommodation in due time. There are a few rooms still available at The Trout Hotel in the charming town of Cockermouth if you are looking. Pack appropriately – there is really no telling what the weather is going to be like during October in the Lake District and even on a sunny day, our uplands can get very cold. Check the weather forecast before you set off for a long walk and always take some warm clothing and plenty of water and high energy snacks with you. Sensible walking boots is a must. We hope that something has caught your eye among our suggestions of what to do this October in the Lake District. If you haven’t yet booked your autumn break, you can search our full range of accommodation choices – from riverside suites to family rooms – here.